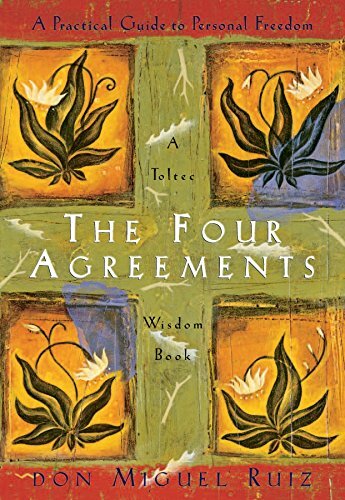 By don Miguel Ruiz. I found this to be a fascinating short book about how we think, especially with regard to our interactions with others. In particular, naming the "Voice of the World" was inspirational for me, as it gave a name and character to the way the world asks us to do many things, and often we comply, even though we did not agree to do so and might not agree if we really thought about it. By Thomas Garvey and Helen Kogan. A nice view of how our thoughts actually come about, how they link together, and how past events influence future thoughts. If nothing else, this will help you to become aware of how your thoughts work, which by itself will help you to see how you make decisions as you journey toward better health. Do you know what you're thinking? It's easy to assume you do. However, the truth can be far less comforting. The mind has visible functions and less visible functions. The mind's visible functions are its visible thinking. This helps us navigate through life; to recognise bus numbers, consider dishes on a menu and notice our friend's mood, etc. The unseen workings of the mind are everything else; this is our invisible thinking... all our thoughts, feelings, experiences, memories, everything! This amounts to all our conditioning and life experiences and it is constantly making decisions which affect the course our lives. Our visible mind then actuates these unseen, already-made decisions using points of reference we don't see, likely don't know exist, and therefore have no opportunity to understand, let alone change. 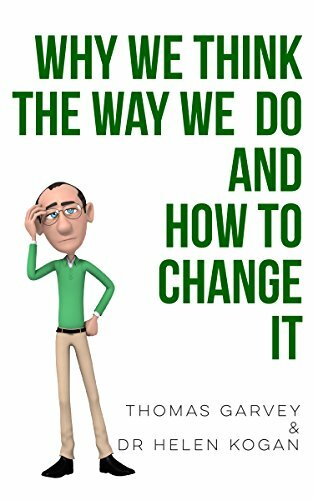 Why We Think The Way We Do And How To Change It reveals the thoughts that are directing the course of your life, and helps you change the ones which have been taking you to places you don't want to go. Now are you ready to find out what you're really thinking? Thomas Garvey and Dr Helen Kogan untangle the roots of human thinking in a uniquely straight-talking, no holds barred approach. They provide the reader with user-friendly terms, tools, exercises and multiple real life examples, which taken altogether, could entirely change your life. By Daniel Goleman. 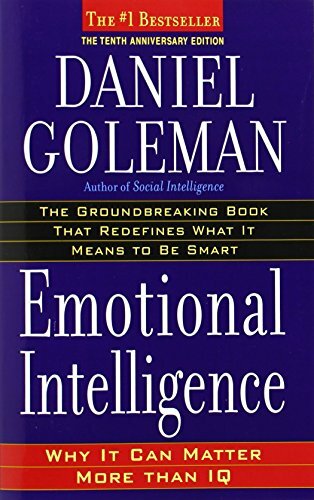 This provides a very detailed description of emotional intelligence, how our brains work, and implications for the choices we make. By Gretchen Rubin. 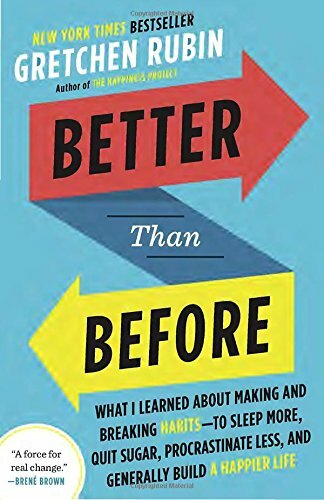 For someone looking to change their habits, this may be the most helpful book on the list. It does not describe a process per se, but rather it offers tons of insights into why and how habits form, and strategies you might use to shape them. This book will help you to "know yourself" better and thereby gain skill to make progress in your desire to change. By Charles Duhigg. A fairly rigorous but useful look at what habits are and how they are formed. 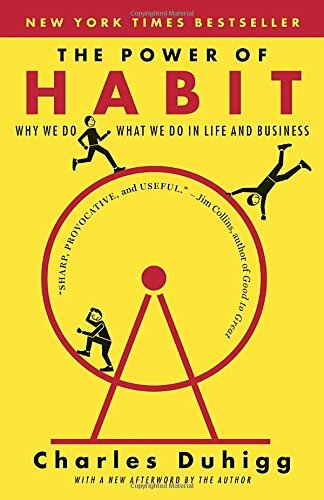 He defines of "The Habit Loop" and provides a nice description of a process to examine and change your own habits. By Ray Dialo. This might be my favorite book from 2017, and really taught me to realize I should be saying, "I've made certain assumptions about the world. How do I know if I'm right?" Mr. Dialo explains his system for trying to understand truth by continually examining his world and adapting his models as needed to be successful. 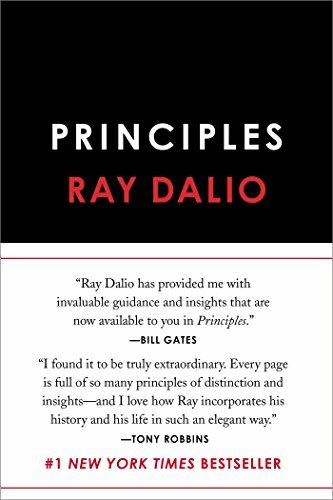 Principles are discussed in separate sections relating to "Life" and to "Work." Reading this was like having a conversation with a grandfather who was passing on great advice. *In the spirit of full disclosure, I receive a small credit if you purchase a book through the Amazon Associate links above. However, I only recommend resources I believe will be interesting and valuable to you.